Infinix Zero 5 mobile phone features 6GB RAM that is responsible for delivering a top quality performance. 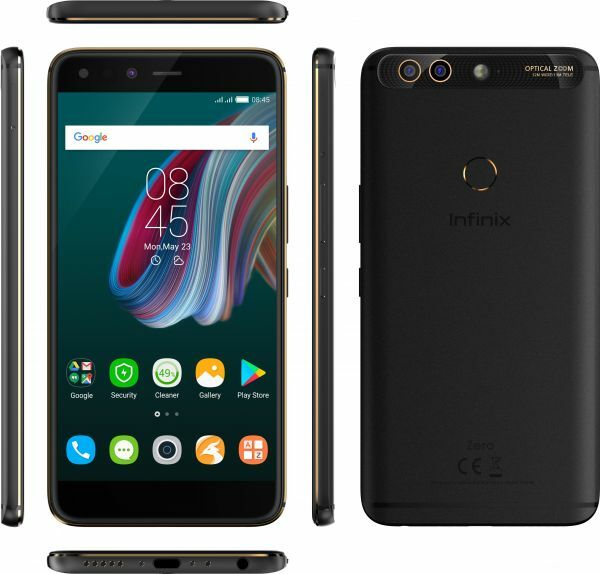 This Infinix dual SIM phone has NFC connectivity.The Infinix Zero 5 Pro dual SIM mobile phone offers the perfect way of taking your on-the-go smartphone computing experience to a whole new level. It has a large 5.98inch screen with a 1080 x 1980 pixels resolution that provides breathtaking visuals. Furthermore, the lightweight and compact design of this smartphone allow you to slip it into your pocket easily. The MediaTek Octa-Core processor combined with 6GB of RAM offers a great multitasking experience. Also, this smartphone lets you capture amazing pictures, thanks to the presence of premium-grade rear and front cameras. Running on the Android 7 OS, this mobile phone has a clean interface and is easy to use. The dual-SIM functionality lets you use two SIMs at the same time and offers blazing fast browsing speeds, courtesy of the 4G LTE connectivity. This mobile comes with a gift box that includes TPU cover, a PET film screen protector, XE03 noise-canceling earpiece, and a smart cover. Gift box Including TPU Cover + PET Film + XE03 Noise Cancelling Earpiece + Smart Cover. The Infinix Zero 5 mobile phone has a MediaTek Octa-Core processor and promises to deliver a fast and fluid performance every time. Also, the 6GB RAM of this mobile allows for a smooth and responsive multitasking performance, thus proving for an enjoyable experience. This Infinix Zero 5 Pro dual SIM phone has a powerful 4350mAh battery that allows for an extended uptime. With a 128GB storage capacity, this Infinix mobile phone lets you store all your personal as well as professional data on it with ease. And should you ever run out of space, the 128GB expandable storage has been kept at your disposal, satiating your ever-growing data needs. 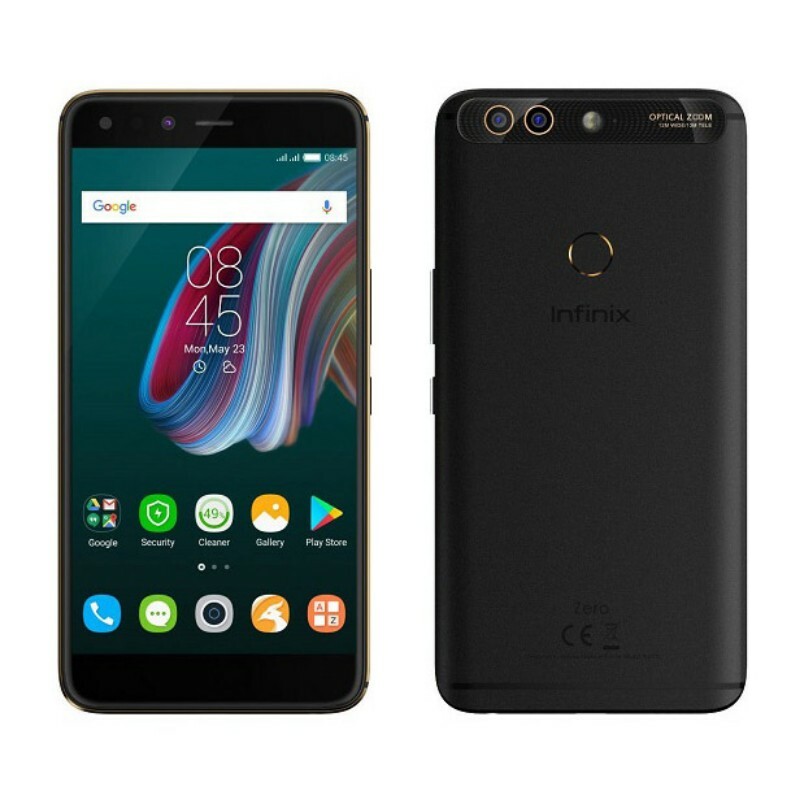 This Infinix Zero 5 mobile phone features a 5.98inch, FHD display with a resolution of 1080 x 1980 pixels to gives you exceptional picture quality without any dead angles. The IPS technology produces lifelike colors and outstanding contrast rates to make the whole experience of watching your favorite content on the go more immersive than ever. This Infinix dual SIM phone features top-class cameras that helps you click excellent photos with a greater field of depth. The 12MP plus 13MP rear camera setup captures dedicated-camera grade details and makes every seized moment breathtakingly beautiful. The 16MP 4in1 front camera clicks excellent selfies at parties and functions.